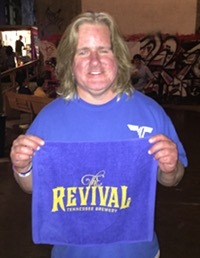 Next Friday, April 20 from 7:30-10:30 there will be a Hoedown for Hope at Propcellar, 2585 Summer Avenue. This will be a fun, casual event with Southern food, music by He Said She Said, beer, specialty drinks, dancing, a silent auction, and a mechanical bull. The proceeds from this event benefit Hope House, an organization that helps children affected by HIV and poverty. It’s the first Fireworks Night of the year at the Redbirds. The fireworks are presented by Tennessee Lottery and are launched from center field. First 1500 fans in the ball park get a replica of the PCL Championship Trophy the Redbirds won last season. Opponent is Iowa with first pitch at 6:35 and gates opening 5:00. 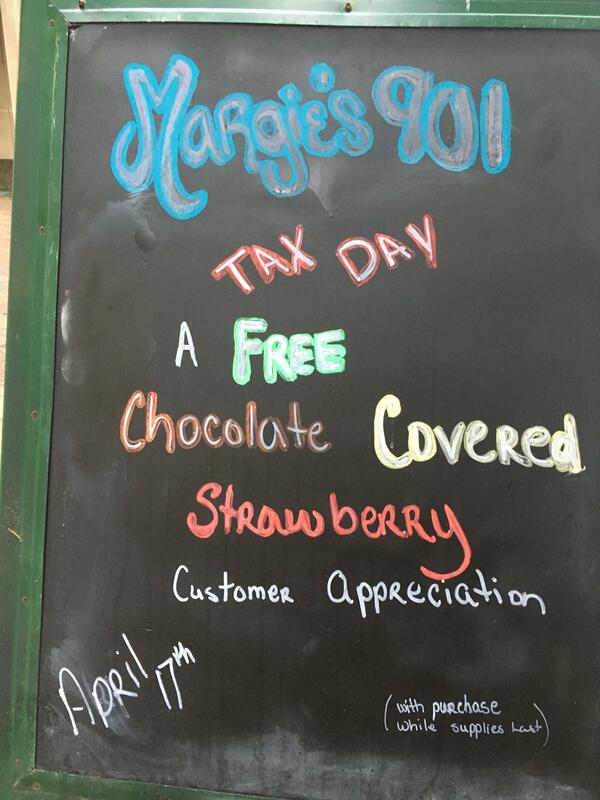 Margie’s 901, the former Maggie Moo’s ice cream parlor on the Main Street Mall, is having a free giveaway on Tax Day, April 17. Free chocolate covered strawberry with purchase, while supplies last. Memphis Tigers men’s basketball coach Penny Hardaway signed Cordova High’s Tyler Harris yesterday. Along with East High’s Alex Lomax, Penny has now recruited the two top Memphis prospects, overcoming objections that they are both point guards. Tubby Smith wouldn’t have got either of these players. He wouldn’t even have tried. I am the most excited I have been about Memphis Tigers basketball in years. I definitely plan on going to some 2018-19 home games, and might even consider 2019-20 season tickets. So Nuts and Confections will be the featured vendor for Small Shop Saturday 12-4 today at Ghost River. Drafts and Laughs XXIV with the Comma Comedians happens tonight at 7:30 at Memphis Made. This is a free show. My Thursday lunch at West Street Diner was so good that I went back for their country ham, purple hull peas, and a tossed salad. The salad came in a separate bowl and I figured, you all know what a salad looks like so there’s no point including it in the photo. This was quite possibly the best piece of ham I have ever had in my life! Too bad my mom is not around for me to take there – ham and purple hull peas are a meal she would have loved. She used to buy purple hull peas at the Little Rock farmers market, and she and I would sit at the dining room table and shell them. 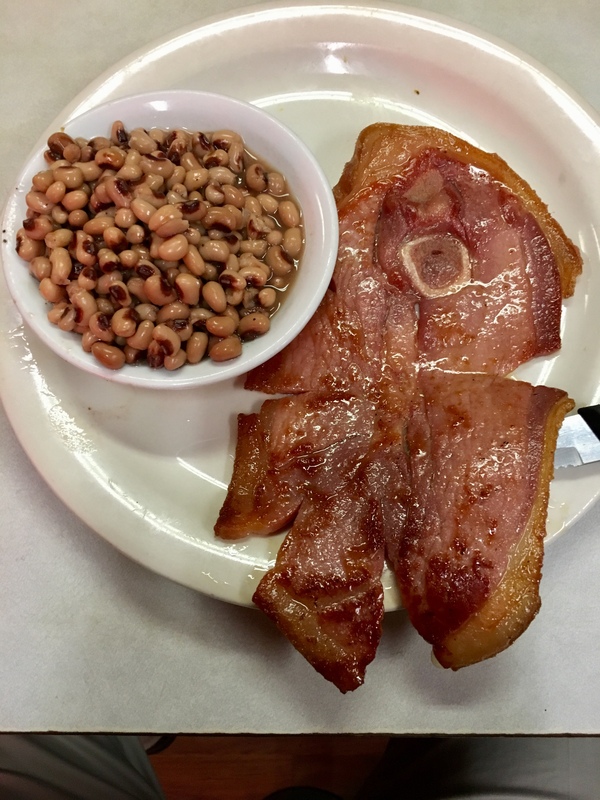 The ham is an every-day menu item, whereas the purple hull peas are daily specials on Mondays and Fridays. The server, realizing I am becoming a regular, introduced herself. “See you this weekend!” she said. “No, you won’t!” I replied. I explained to her that I work in Germantown, but I live Downtown. “You might see me Monday, though,” I said. Did my taxes this morning! I got a federal refund, but annoyingly, I owe the state of Mississippi $12. Even more annoyingly, I will have to file a Mississippi tax return next year because I worked there 9 days this year. Catching up with a friend from out of town today. Probably will stay local and skip the crawfish fest in Midtown. Back tomorrow with more news.